While it may be cliché to talk about being thankful during the week of Thanksgiving, we think it is more important than ever to recognize your customers. It is often a part of business management that tends to be ignored; yet customers are often the main influencers of a business’s cash flow. With the holiday season right around the corner, here are the top ways to easily show your customers that you care. Thank your customers for mentions and always follow-up on comments: whether negative or positive. For most businesses, you typically aren’t interacting with your customers face-to-face on a regular basis. Encouraging an online community is essential. Send personalized, hand-written thank you notes. Customers like to know that you care. 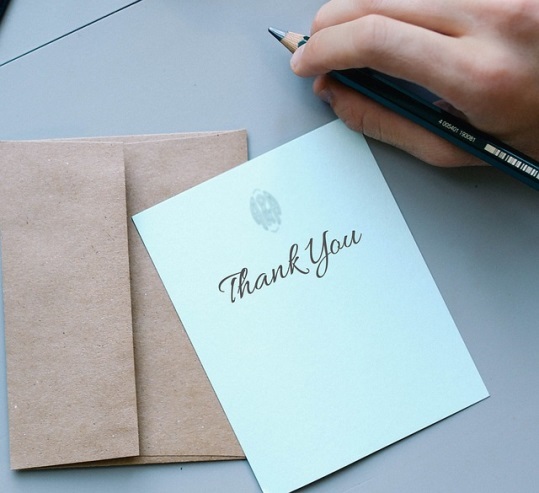 Depending on the size of your customer base, try sending personalized, hand-written thank you notes this holiday season. If tackling your whole list is overwhelming, strategize and plan to only send thank you notes to the top 10 or 20 percent of your business. A simple thank you can go a long way. Customers love companies that blog because it creates a value-added experience. Take this culture a step further and turn on the comments option to your blog. Customers appreciate the opportunity to have their voice be heard. Don’t think of blog comments as a negative thing. You will be able to learn more about your customers, their beliefs and their needs. Add incentives for loyal customers. This holiday season consider offering a coupon or incentive as a thank you to your most loyal customers. Not only will it encourage them to spend more with your business, but it will show your customers that you truly appreciate them! If your customer base is local or state-wide, take the opportunity to show your pride in the neighborhood and give back to the area. Volunteer at a food bank, host a charitable event or donate to your favorite local charity. Helping the community in turn helps your customers. What are you doing this holiday season for your customers?